What if it's not that my left leg is weaker, but that my upper body is constantly turned to the right over my pelvis? She said the positioning of my shoulders really matters for the spiral ins we are working on. I noticed a couple of days ago that my pelvis is straight and my shoulders are crooked over them while standing, surely it translates to the saddle. "Being straight is hard, let's be crooked!" On a walk circle to the left, I pulled my left shoulder back and turned my torso to face the inside. I immediately felt his weight shift from his inside shoulder to the outside shoulder. Back to normal and his weight went back to the inside shoulder. I repeated that several more times with the same result, but it was the end of a productive ride, so I didn't pursue it further. 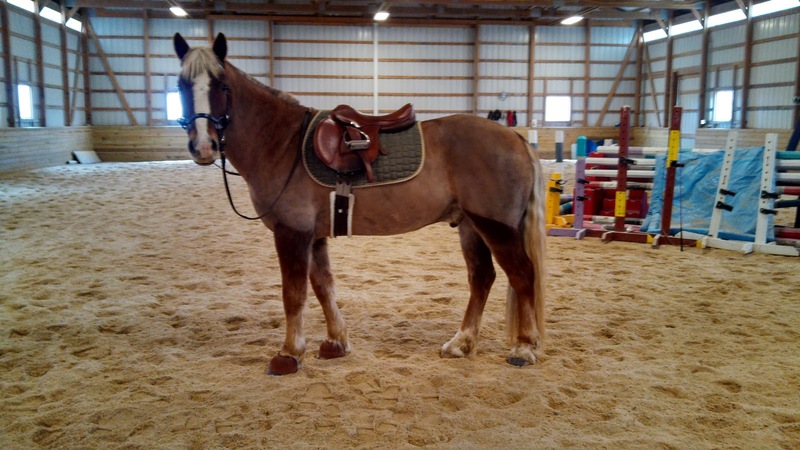 Borrowed saddle pad, I think I need to find more pads in this shade of green. So the working theory is....my left shoulder being forward means I'm putting more weight on the inside seatbone which makes him try to stand up more underneath me on that side, which makes him stiff and counterbent. Of course he won't bend around my inside leg in that situation, no matter how strong it is. I think you're on to something! 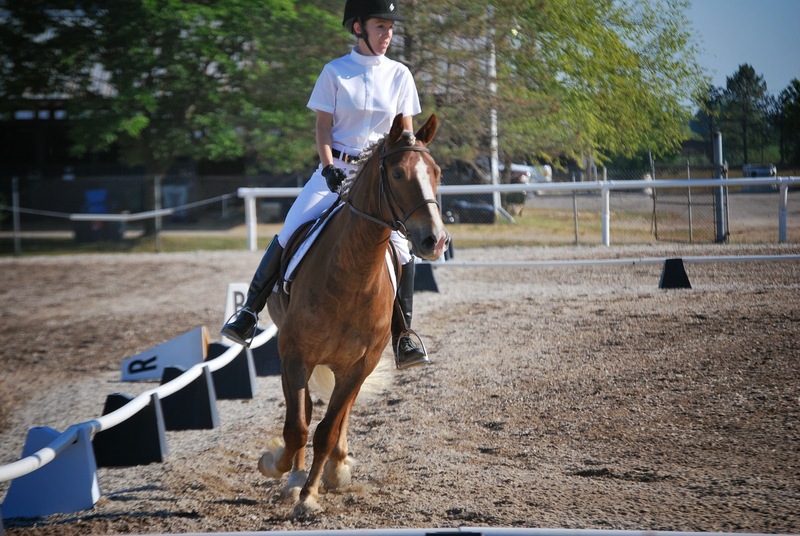 Have you ever checked out Centered Riding by Sally Swift? Some of her visualizations might help you sort out your wonky upper body. 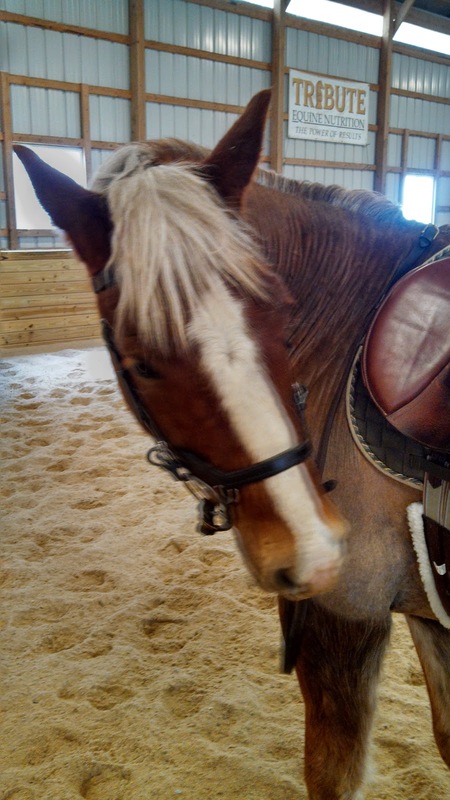 I had an old copy of Centered Riding but someone borrowed it in college and I never saw it again. I need to get another one, you're right. Nope, I just got another one for free thanks to Amazon credit card rewards points! Early birthday gift? Haha. I had no idea it was you that borrowed it, honestly. So many of my equine things walked off during college I don't even think about it. 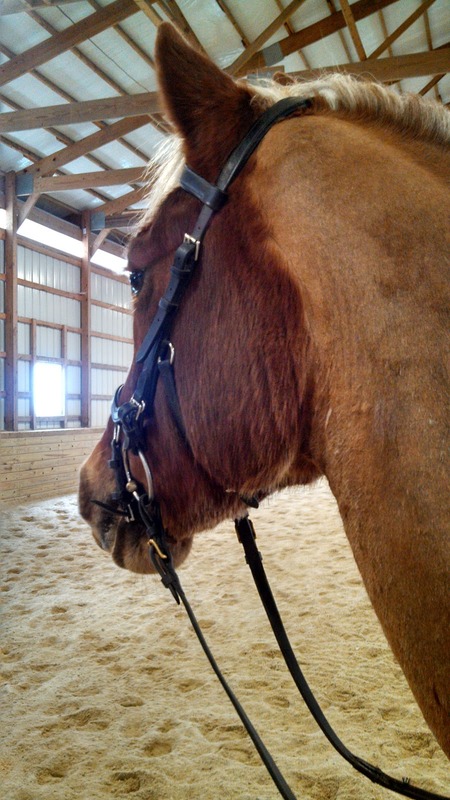 Total body control is so important for riding ... but really, really hard! Yeah, when you realize things like that affect the horse so strongly, and how subtle they are, it's no wonder it takes people a lifetime to learn how to feel that and then fix it. Being straight is soooo hard. Do you have any mirrors in your ring? They're seriously so helpful, even if I curse at them everytime I see how crooked I am. They are literally the very next barn improvement scheduled, planned for sometime in the first half of the year. I'm also working on my coach to set up a Coach's Eye iPhone app connected wirelessly to a TV set up on the rail. How cool would that be? We use it at my gym to evaluate our lifts, it's invaluable! That sounds awesome!! I have a love/hate relationship with the mirrors... They're great when I'm straight but soooo frustrating when I'm not! Haha. You and Simon always look good, so thanks for the vote of confidence! I am going to have to find out what that pad is called. It looks good on clipped chestnut, and so few things do, haha! I am so glad you commented! That's a really good way of thinking about it. I had a Dressage instructor tell me a while back that I never look through Connor's ears, always turned dramatically to one side. Thanks for reminding me of that, I'm going to try your method when I ride this week, good thing to work on while I'm on my own for a while! Pilot realignment I need me some of that too. Ooooh that is exactly what I am going to call it from now on!